1. Powerpoint Presentation , New Models of Learning for the 21st Century: Sacramento New Tech High School, Paula Hanzel, Principal, Sacramento New Technology High School. 2. Powerpoint Presentation 2 , Assessing 21st Century Skills: The New Tech High School Model, Bob Pearlman, Director of Strategic Planning, New Technology Foundation. 4. Soft Skills in Big Demand -- Interest in teaching students habits of mind for success in life is on the rise, by Catherine Gewertz, Education Week, June 12, 2007. 8. 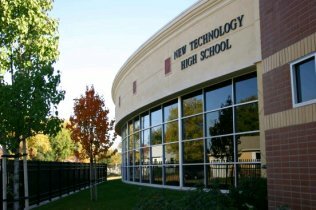 Information on the New Technology High School Model -- Links to everything you ever wanted to know about the New Tech model.